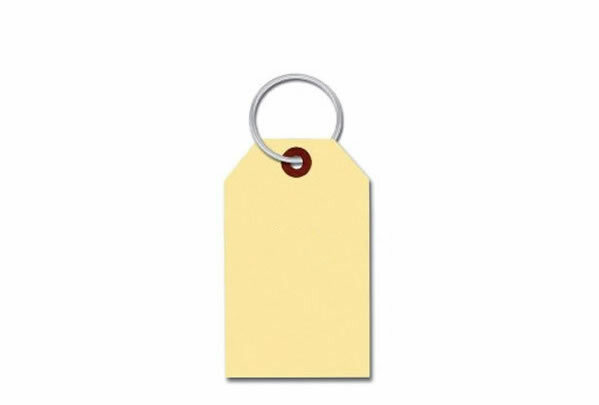 Item Size: 2-3/4" x 1/3/8"
Every department in your dealership - sales, parts and service - can use these blank generic Blank Manila Key Tags. At a size of 2 3/4" x 1 3/8" they permit enough writing area to fit all your needed information. 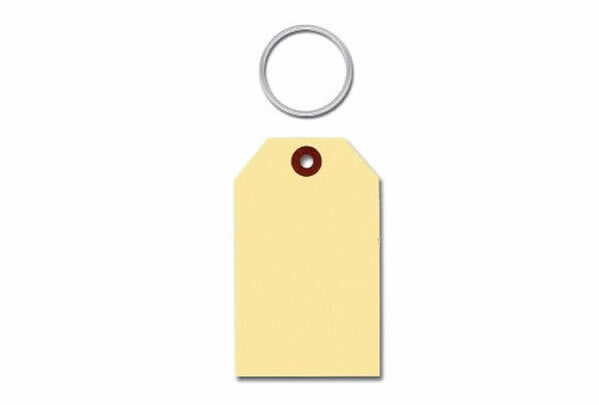 Our Blank Manila Key Tags are made of a heavy manila stock-tag paper with reinforced "patched" eyelet and can be ordered with the metal key ring pre-attached. 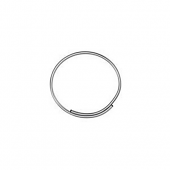 The metal key ring makes these much more useful and easy to use the the wire tie style! 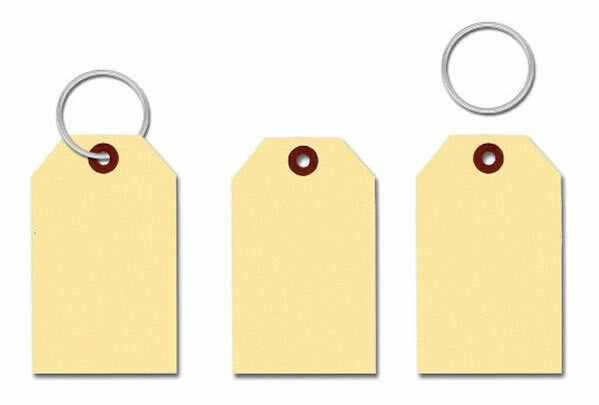 These are a great solution for any auto service or sales situation that requires the use of strong and durable temporary key tags. 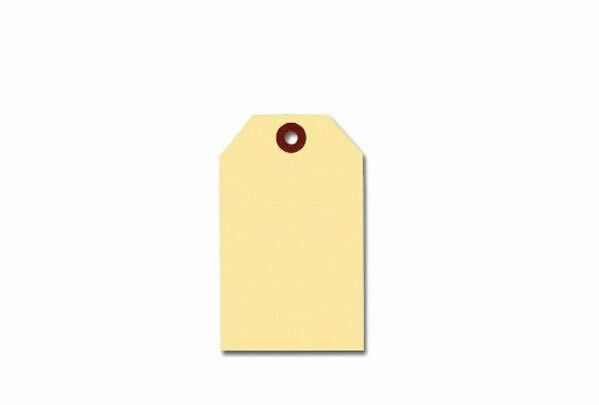 You are the only company that we can order our tags and loops together as a set. Others are sold individually and are costly. Also your shipping is by price and not weight. Will order from you all the time. love them, my order is always correct and ships fast. Even on standard delivery i get my order within 5 business days. A+ Place to do business. Quality products, quick shipping and great prices! This is the place to buy auto supplies. Thanks for giving us great fast service. Oscar worthy performance !!! Dealing with Rachel and Malcom was a shear delight. Our first time dealing with them and they beat all others hands down. Great FAST pricing, beat the number I was looking for and shipping to ten (10) different locations all over the country was a cake walk for them. There is no doubt in my mind that Estampe people are hand picked and are the same inside work or outside, just great people. All companies should be, straight talking, honest and fast.